I am very flattered to be nominated once again this year for The Liebster Award. I would like to thank Toldbyjosette for the nomination. These awards promote community feeling amongst bloggers rather than just be about accolades and I am more than happy to spend time answering questions and nominating other blogs to pass on the honour. 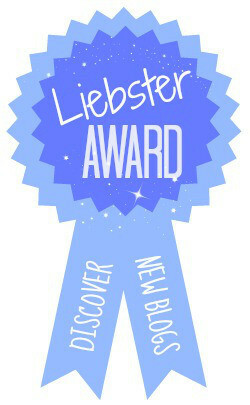 I hope the blogs I nominate receive this award with the enthusiasm I do. 1. How do you feel being nominated for Liebster Award? I am very grateful and flattered to be nominated again. I am excited about discovering more New blogs, but also feel a little guilty about the nomination as I have more than 200 followers. However, I hate to pass up on someone’s kindness and the opportunity to pass it on. 2. What is your favorite fiction book and why? This is such a hard question as I love so many books choosing one seems impossible, but if I had a gun to my head I would say The Passage by Justin Cronin. 3. Who is your favorite male fictional character and why? Without rivals, my favourite fictional character is Mr D’Arcy from Pride and Prejudice. He’s complex and brooding. 4. Do you find reading a hobby? Even after reading almost 200 books last year and 180 odd books the year before and 170 odd books the year before, reading still feels like a hobby. There’s nothing I enjoy more than being immersed in the characters of a good book. 5. What book for you has all the elements you are looking for? This year has been a good year for thrillers and out of all the books I have read this year I Let You Go by Claire Mackintosh had all the elements to be a satisfying read. 6. What’s your favorite quotation from a book and why? 7. Who’s your favorite author and what’s your favorite work of her? This is so hard to pick one, but again if I had a gun to my head, my favourite female author is Tess Gerritsen and my favourite book by her is The Surgeon. 8. Do you find yourself writing your own book in the future? I’ve thought about it but I don’t think I have anything original to say yet in a book and do not feel equipped to express how I am feeling, let alone a character I have created is feeling. Ever since I was diagnosed with Obsessive Compulsive Disorder in 2009 I have lost a lot of confidence in myself and am trying hard to build myself back up. This is hard to do in the presence of intrusive thoughts and compulsions I feel I have little control over. If someone else had gone through what I have I would definitely say there’s a book in there, but when it’s me it doesn’t seem to have literary appeal. 9. When do you usually read, morning or evening, and why? I schedule my best reading from the morning on days when my husband is not at home. I am easily caught up in books and have been known to read all night too. 10. Do you like the movies adapted from books? No. I find movies from books spoil the book for me. I think movies are better if I don’t know they are based on a book like The Ring movies which are so far removed from the original books. I pass on movies based on books I have read. Of course, I don’t believe we can have too many friends. 3. What’s your favourite blog? 4. How do you choose books to read? 5. What’s your favourite book genre and why? 6. What’s your favourite TV serial? 8. Who do you think should play you if they made a movie about your life? 9. Who should play your romantic interest in this movie about your life? 10. What’s your most memorable read? 11. Who is your favourite stand up comedian/comedienne? 4th Rule – Nominate 11 blogs that you feel deserve the award, who have a less than 200 followers.